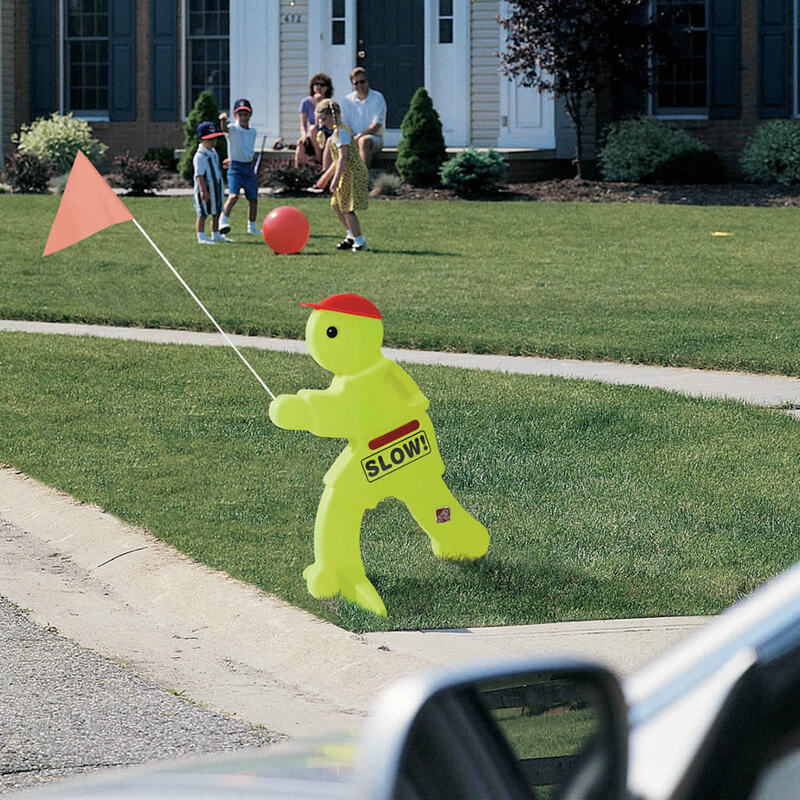 Today I noticed, as I was pulling out of my driveway, that you had your stupid little “SLOW CHILDREN AT PLAY” bright neon yellow signs set up, up and down the street. (you know these signs..they are in the shape of what appears to be a crossing guard with his hand in a sort of “halt!” position.) I also see that you added bright little orange cones today. I understand that you are being extra cautious so that nobody runs over your children. I have no problem with safety, and I don’t even mind the ugly signs or the screaming of your kids as they ride their bikes up and down the street and in my yard. I do have a problem with the fact that you 2 drive up and down the street like you’re in the INDY 500!!! READ YOUR OWN SIGNS, and SLOW DOWN! !, YA JAG OFFS!! RhondaG, you wrote my entire blog post today!!!!! LMAO! But I just can’t sit in my lawn chair on my front porch “Pittsburgh Tanning” and let Rhonda carry all the weight. So here’s my 9 cents worth (it used to be my 2 cents worth but the price of gas has caused me to increase my fees). NOTE: I wonder if these people also have a “No Solicitation” sign in their window and then go and peddle Cub Scout Popcorn, Girl Scout Cookies, Sarris Candy, Christmas Wrap and Little League Lottery tickets!! Thanks to RhondaG for being our Jagoff Catcher!!!! If you liked this “driver” wait until you see next Monday…. BTW, thanks for posting a comment! !